For a few years now I have witnessed my husband struggle day after day with what is known as Survivor’s Guilt. Experiencing this is what prompts me to write this article. Mainly, it is to let others know how common this is and ways to help. Survivor’s Guilt is something that we as families cannot relate to, yet we find ourselves in situations of trying to “fix” things and help our spouse move past this battle in the aftermath of the war. It haunts our military service members on a daily basis.... The demons of war and the loss of the ones they are bonding and fighting beside that are lost causing them to lose themselves at times... It is one of the causes that leads a service member in the decision to take their own life. This horror that can damage and destroy some of our troops lives is known as Survivor's Guilt and it affects thousands of our men and women everyday. Survivor's guilt is a psychological syndrome in which a person will believe he they have done wrong by surviving a traumatic event or situation that has claimed the life of others. At times, the other person/people can survive, and a service member will still be overcome with survivor's guilt because they know that injured person will never be the same. Being surrounded by war and witnessing what our troops witness can lead to strong survivor's guilt. Our service members are known to torture themselves and put themselves through another hell of wondering what they could have done differently to prevent what has occurred. They live minutes, hours, days, months, and more pondering the event, reliving it, and stuck on different actions that could have been taken at the time. The lose days in their life because as they are here and alive, they forget to live. They can be scared to enjoy life or to find happiness because they cannot get past the reason they lost someone in war, yet are still here and able to live life. Survivor's Guilt symptoms can mock those of PTSD, Depression, Acute Stress Disorder, and anxiety disorders. With this being stated, sometimes complications can and will arise when trying to distinguish between these things. Flashbacks, nightmares, lack of motivation, loss of joy and pleasure in activities they use to enjoy, loss of appetite, feelings of worthlessness and mood swings. The person may become real distant from loved ones and turn to other sources as their personal self-medication, such as alcohol and pills. When SG occurs, just as with PTSD, the person experiencing it needs to know that it is not their fault. They need to be reminded they are here for a reason and that no one holds them accountable for a situation or mission that was turned upside down. It's okay to be happy that they survived and move on with daily life. That's not saying they will forget what happened or the ones they lost. For some reason their life was spared and now is the time to cherish it and never take it for granted. Reassess life and make the best of it. Loved ones, please remind your service member that what they are experiencing is normal, but please make sure if they get out of control, seek help immediately! For every ten suicide attempts, one suicide is unfortunately carried out as planned. Since 2005, the suicide rates amongst our troops has more than doubled. Though, as not all are as a result to Survivor's Guilt, a good amount does contribute to the service members that struggle with SG. 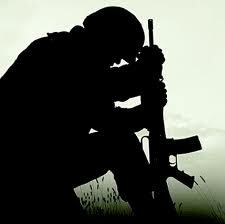 In the 30,000 suicides that were sadly a success to Americans last year, about 20 percent were committed by Veterans. If you are battling and struggling with Survivor's Guilt, or you have a loved one that is, please do not hesitate to ask for help. There are currently many options available to you at this time, none which should lead to suicide. Every state has at least one (typically more) Vet Centers, which offer free counseling to any combat service member as well as their immediate family. You can contact them at 1-877-WAR-VETS. You can contact your local VA for Mental Health and assistance. If you are not aware of your local clinic/Hospital, go to the VA website by clicking here. A critic is someone who never actually goes to the battle, yet who afterwards comes out shooting the wounded. See the link below for more info.